Receive application protection and reliability with built-in continuity features and policy-based service level management. VMware vSphere Kits provide everything you need to easily get started. vSphere accelerates your move to cloud computing for your existing datacenters, while underpinning compatible public cloud offerings, paving your way to having an industry-leading hybrid cloud model. Accelerate your IT by delivering complete software-defined virtual datacenters for provisioning infrastructure in minutes, with built-in security, reduced cost. See how the leading virtualization platform for building cloud infrastructures enables users to run business-critical applications, with confidence and respond to business needs faster. Be prepared to back-up all your applications , giving you powerful replication of your apps to a secondary site, non-disruptive testing, and fully-automated site recovery and migration if needed. Gain industry standard excellence and optimize resources and costs. Proactively ensure virtual infrastructure performance, provide continuous compliance with operational and regulatory requirements. Achieve enterprise-level IT management and get centralized patch management and asset inventory for Windows and third party applications for both virtual and physical machines, with top security. Be prepared to back-up all your applications, giving you powerful replication of your apps to a secondary site, non-disruptive testing, and fully-automated site recovery and migration if needed. View best-practices of desktop services unmatched by traditional PCs. Reduce total cost of ownership up to 50%. Enhance productivity giving freedom to access desktops from more devices & locations. Improve the experience for road warriors and users on lower end thin clients. Reduce total cost of ownership up to 50% while giving freedom to users to access desktops from more devices & locations. Get perimeter security and gateway services with vShield Edge to securely scale cloud infrastructures. vShield App protects apps and gives deep visibility into network communications while enforcing policies. Eliminate hardware and policy sprawl with “better than physical” security. Protect apps in the virtual datacenter from with VMware vShield App, part of the VMware vShield family. Get deep visibility into network communications, enforce granular policies with security groups and eliminate hardware and policy sprawl with better-than-physical security. Get comprehensive perimeter security for virtual datacenters with VMware vShield Edgem which integrates seamlessly with vSphere™ and includes gateway services so you can quickly and securely scale your cloud infrastructures. Strengthen security for your virtual machines while improving performance by orders of magnitude for endpoint protection. Receive streamlined deployment and monitoring, and satisfy compliance/audit requirements. Watch our VMware System Engineer and see how you can virtualize, automate and connect your infrastructure in three easy steps. Lower starting prices and bundling to get you scalable offerings. 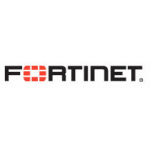 This demo provides an in depth view of Fortinet’s FortiGate UTM line including the FortiOS™ security operating system. From morning login to employee usage monitoring and filtering, this video shows how FortiGate locks down corporate security on a daily basis. This demo shows how FortiAnalyzer aggregates and reports log data from syslog devices into easily customized dashboard views. Learn how to filter records. Proven, powerful messaging security for all size organizations protects against spam, malware, and other message-borne threats. Prevents your messaging system from becoming a threat delivery system sparing your users from being blacklisted. Rick discusses application security and the challenges in delivering protection real time.